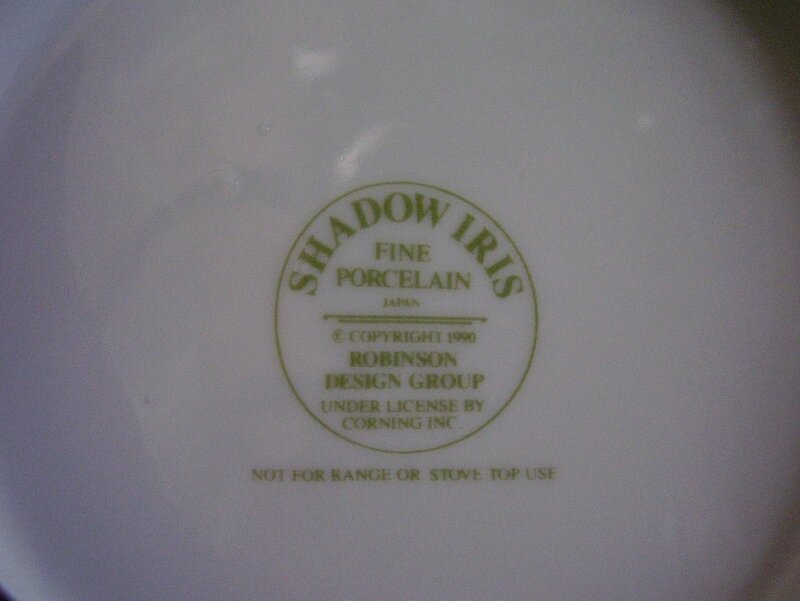 A Corelle Shadow Iris 32 oz. teapot without the lid. 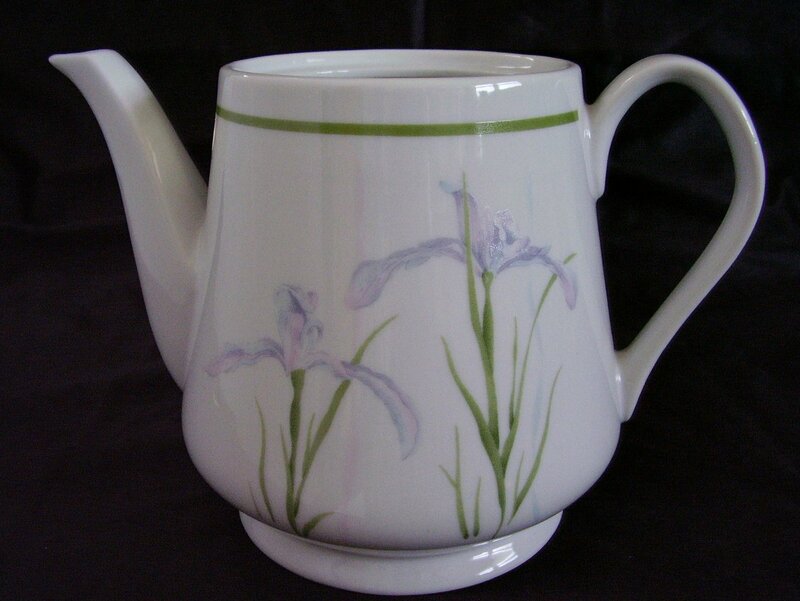 Manufactured for Corning by the Robinson Design Group, 1990. 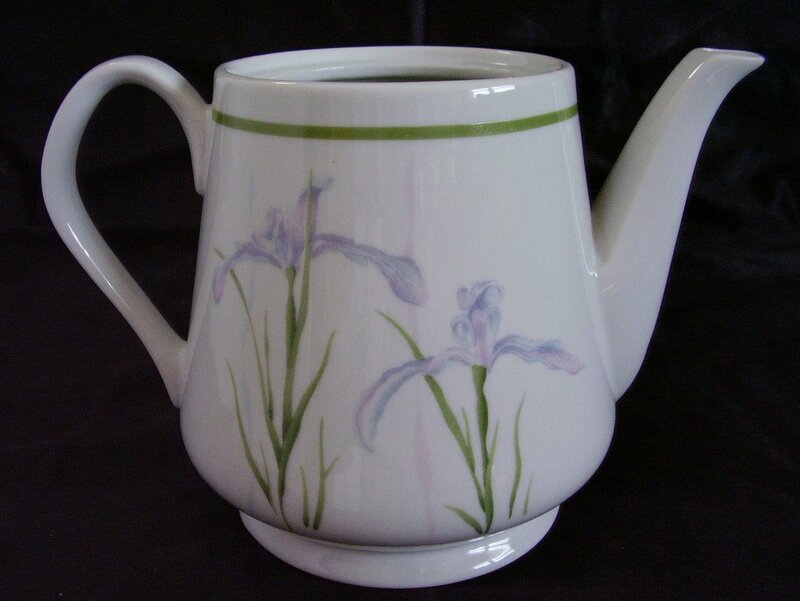 The teapot measures 5 3/8 tall x 5 1/4 diameter and 7 3/4 across the handle and spout. In very good condition with no cracks, chips, or crazing.